Those functions are specific for particular pages like single post/page, category/tag, … pages. But we can have many page types in WordPress like: 404 page, search result page, archive page, or even virtual page. The title displayed differently in themes: you may use a theme that have title in format Post Title | Blog Name, but another theme can use Post Title only. You can make a combination of the functions above to achieve the correct title, but that won’t be used widely for other themes. In this post, I’m gonna to use a simple trick that can solve these problems quickly. to display the page title (you should use only this function to display page title, otherwise your site maybe not compatible with SEO plugins or causes performance issue). I’m currently use the script above (with some additions for facebook like, google+ buttons) for my websites. And it’s working great in archive pages where built in WordPress functions aren’t very helpful. That was a nice tutorial. BTW is there any way I can add code like php or java scripts inside post body just like you did without any plugin ?? Or which plugin you use to do that ? You can use Google prettify or Syntax highlighter for WordPress. There are lots of syntax highlighting plugins like this. I think Rilwis use on of them. That’s nice tutorial, and very help full..
Никак не могу понять, как получить название собственно поста (записи)? My name is Anh Tran. I’m a WordPress developer since 2006. I create some plugins and themes. Deluxe Blog Tips is my personal blog where I share tutorials and tips about WordPress, web development, tooling and anything I find helpful. Glad that you stop by. 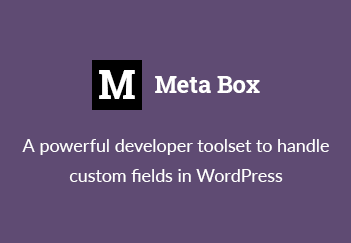 Check out my plugin, Meta Box, to instantly generate expert custom meta boxes and custom fields for WordPress. My best selling theme, TheFour, helps you build your business websites in no time at all. Subscribe to our newsletter to receive news and tutorials about WordPress and web development.